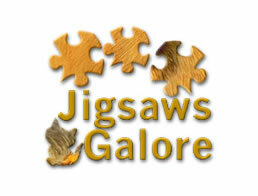 Jigsaws Galore Game - Download and Play Free Version! Create, Customize and Assemble Your Very Own Jigsaw Puzzles! Jigsaw puzzles are pretty fun. They’re challenging, test your visual skills, and provide an excellent way to kill time on those rainy days that leave you cooped up inside. They can also be enjoyed alone or with friends and family. Unfortunately, as much of a joy as it is to put them together, you inevitably have to put them away once you’re finished. After all the work it takes, disassembling the puzzle and putting it back into its box is both annoying and bittersweet. Furthermore, losing just one piece of a puzzle can and will ruin everyone’s day. Luckily, Jigsaws Galore is here to make all those troubles go away! 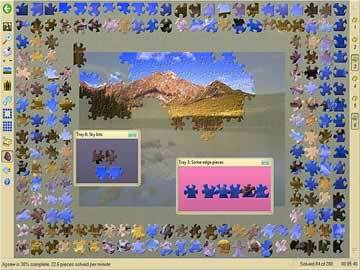 There’s no cleanup or boxing required here; all you’ll find is pure and unadulterated puzzle assembly done from the comfort of your own computer. 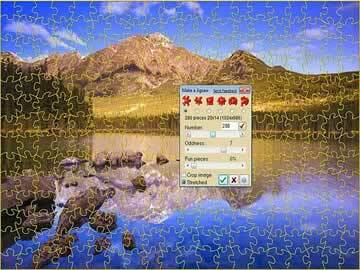 Jigsaws Galore does not stint in the number of puzzles it provides right out of the box. Assembly works just as it does in real life, but it also includes a host of features that can be afforded in the digital environment. Includes over 200 different puzzles. Subjects include animals, people, buildings, scenic locations, still life images, flowers and more! Put each puzzle together over an overlay of the original image. Pieces snap in place when placed into their correct location. Customize your interface and layout. Put down trays to store vital pieces, arrange the loose tiles in a myriad of ways, alter the size of the tiles, and more. Choose from two levels of difficulty: beginner and expert. Set a time limit if you so choose. If 200 puzzles is not enough for you or you just don’t like the current selection, then Jigsaws Galore gives you the option to create your own jigsaw puzzles from scratch. You don’t need to be a computer expert or experienced designer to do so; just select your image, set your preferences, and start putting it together! It doesn’t get any faster and easier than that. Create puzzles from screen captures, your current wallpaper, or any image saved on your hard drive! Choose one of six general shapes for your tile pieces. Set the number of pieces for your puzzle. Choose from as few as four or go higher than 2500. Determine the level of oddness in the shape of your tiles. Add fun-shaped puzzle pieces to the mix. Have tiles that come in the shape of ducks, stars, elephants and more. Save your creations and trade them with your friends. Thanks to its extensive collection of puzzles and levels of personalization, the aptly named Jigsaws Galore is a dream made true for puzzle aficionados everywhere. Anyone who has ever enjoyed spending hours pouring over a puzzle needs to get it now; it’s a purchase they won’t regret!